Our Boxing Technique & Sparring class is formatted after a classic boxer’s workout and training regimen. If you're looking to focus on your boxing technique, or eventually want to spar or compete, this class is for you! This small group training is tailored to those in class. You may body spar, do heavy bag work, partner and mitt work, and more. The focus will be on improving your boxing form, technique, and power. 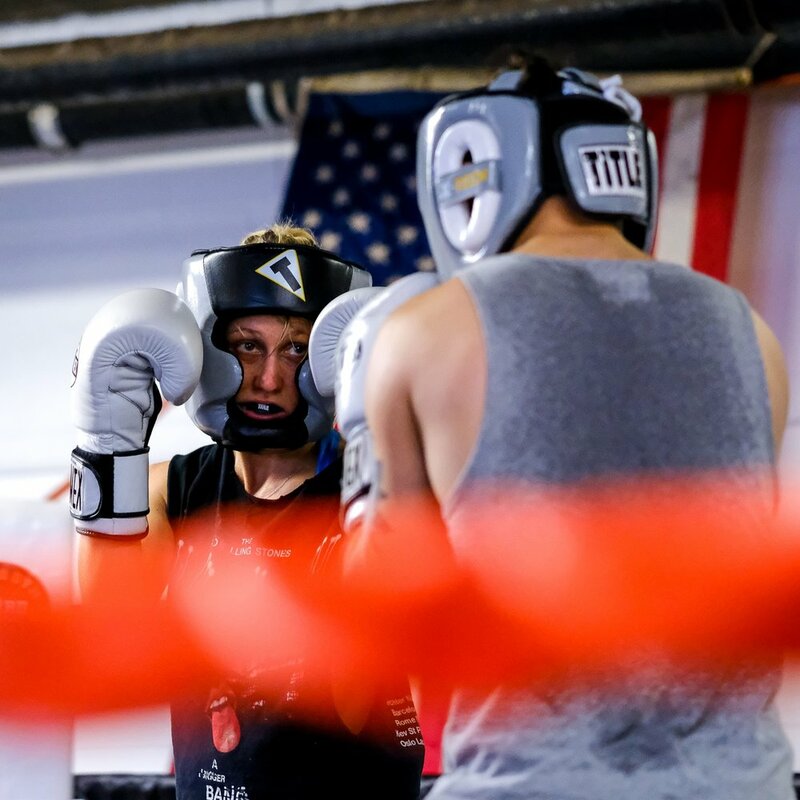 If you want to spar, once you are comfortable with the basics and have a valid USA boxing license, our trainer will match you with someone that is appropriate for your skill and size. The session is an open format, which means you can come and go as you need to within the 2.5 hour window (please arrive no later than 45 minutes before the end of class). Equipment needed: Jump rope, wraps, and gloves. Headgear and groin guard if sparring. Book Boxing Technique & Sparring! 10-Pack Fight Classes: $32.50 ea.